Global Office Machines has been bridging the gap in the market for onsite printer repairs and services in Annangrove for almost 20 years. 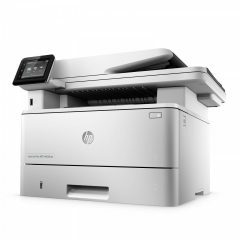 When it comes to printer repairs, Global Office Machines offer reliable and efficient solutions. We have trained technicians to fix faulty printing machines of any brand. Our team are highly qualified and can work on various printers and a wide range of problems. We also have repairmen that specialise in specific brands of printers. Avoid downtimes from malfunctioning machines with our help. Call us today for repairs of your printers and photocopiers and we will come to you anywhere in Annangrove. You can book a technician via the online booking form at the website or you can email service@gom.com.au. One of our friendly staff members will get back to your concerns immediately. GOM offers the best way to repair your printers in Annangrove. Annangrove is a suburb in New South Wales, Australia. Located 42 kilometres away from the Sydney Central Business District, this place was once active in logging. In the 1880s, a majority of the land was used as an orchard. These days, many thriving businesses are showing potential for success. Along with business growth is the increasing demand for supplies and services. With our fleet of fully-loaded service and delivery vans, our technicians can deliver best in class printers, photocopiers, plotters and multifunction machines directly to your Annangrove location. Browse through our product categories and select the best office machines for your needs. Book your technician in Annangrove today!